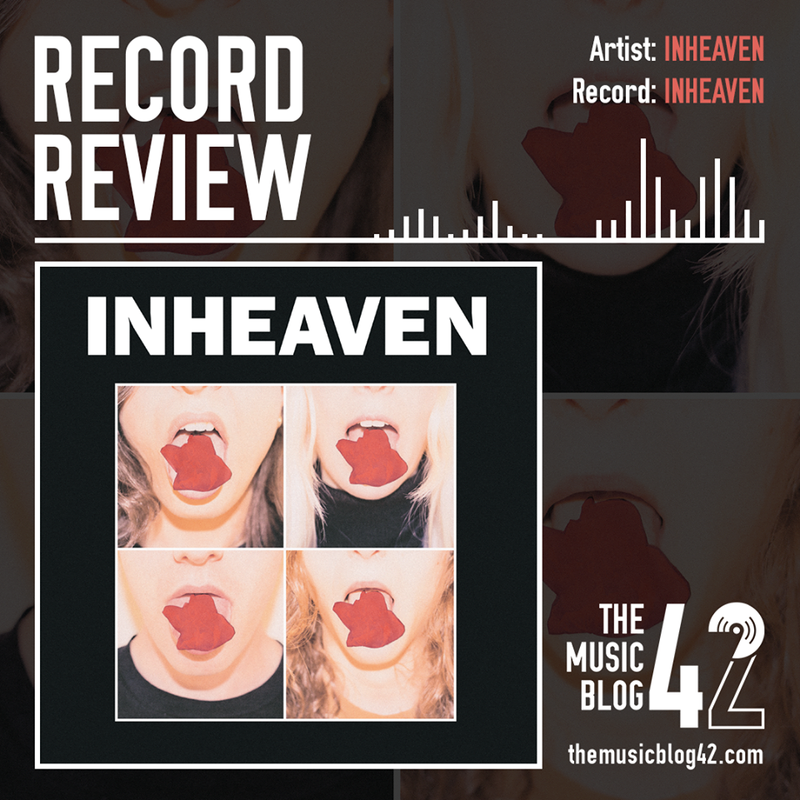 Indie rock newcomers INHEAVEN’s self titled record is one of the strongest debut records from a band in recent years. The record starts with a bang, the bombastic Baby’s Alright is the perfect opener for a record which has such a raucous flow to it, with the rocktastic Treats and the superb Stupid Things rounding up the trio of anthemic grunge-tinged tracks. Their debut single, Regeneration, is the band at their best. A roaring chorus and huge sounding riffs compliment each other leading into the spectacular chorus, which has a The Killers feel to it. The tracks World On Fire and Bitter Town not only sound like the thumping indie rock they are known for, but have elements of 80’s rock and 90’s grunge fused into them making them sound even more electric. Not only do the band write massive indie rock tunes, they also dabble into the world of indie-pop with the sweet Do you Dream which is reminiscent of some of the tracks off of Wolf Alice’s debut record. INHEAVEN are a band on the rise. They are already gaining a cult following, and are one of the best upcoming live acts around (believe me, I’ve seen them live, very very good). I might be getting carried away here, but we might have found a festival headliner in the making. Check back here on Tuesday for the LCD Soundsytem – American Dream review!